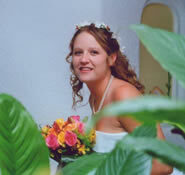 Puerto Vallarta weddings and Nuevo Vallarta weddings are a perfect option for your destination wedding location. Beyond the cobblestone streets, graceful cathedral and welcoming atmosphere, Puerto Vallarta offers a wealth of natural beauty and man-made fun. The town also offers sophisticated services, hotels of all classes, over 250 restaurants, a sizzling nightlife, and enough shops and galleries to satisfy even the most active traveler. When American film director John Huston brought his crew to Puerto Vallarta to film Night of the Iguana, very few visitors had discovered this then nearly inaccessible village. 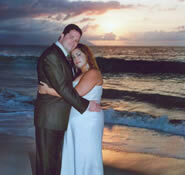 True, the few flights arriving did carry such famous individuals as actors Richard Burton and Elizabeth Taylor. With Hollywood stars enjoying the pleasures of this Pacific paradise, others were soon to follow, building their own spectacularly situated villas on the hills now called "Gringo Gulch." The old town soon spilled southward with the construction of a bridge across the RÃ­o Cuale to the Playa Los Muertos district. The growth continued until today; the villas and hotels now embrace much of the vast Bay of Banderas, tumbling scenically south on the magnificent 10-kilometer (6-mile) stretch of road to Mismaloya and marching unrelentingly north for 5 kilometers (3 miles) past malls and huge resorts to the new marina complex. Puerto Vallarta combines the beauty of the Pacific Coast and the luxury of resort beach hotels with the charm of a lively town. Pelicans fly low over the green waters of the Pacific as you relax on beaches that range from broad open expanses of sand with crashing surf to small coves dramatically formed by the Sierra Madre mountains tumbling into the ocean—coves so quiet that crabs sunbathe on nearby rocks. 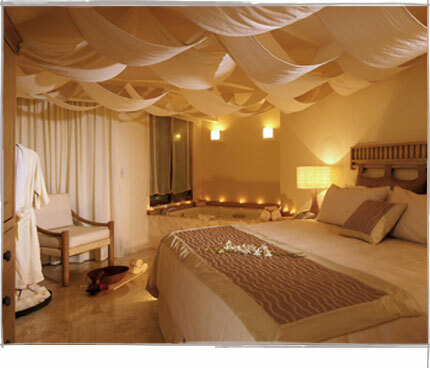 The area is full of luxurious hotels with beachfront locations, tropical gardens, swim-up bars, and health spas. 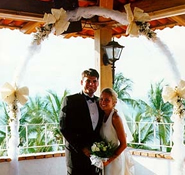 The town is terrific, with cobblestone streets and tiled-roof villas, breezy MalecÃ³n along the oceanfront, tranquil park on Isla Cuale, and shops, art galleries, and restaurants. 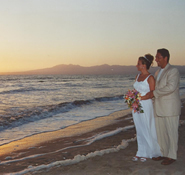 The world has discovered this breathtaking seascape of endless beach, bay and mountains Explore the charm of Puerto Vallarta as you wander along the Malecon, the seafront promenade, which is the heart of the downtown area. 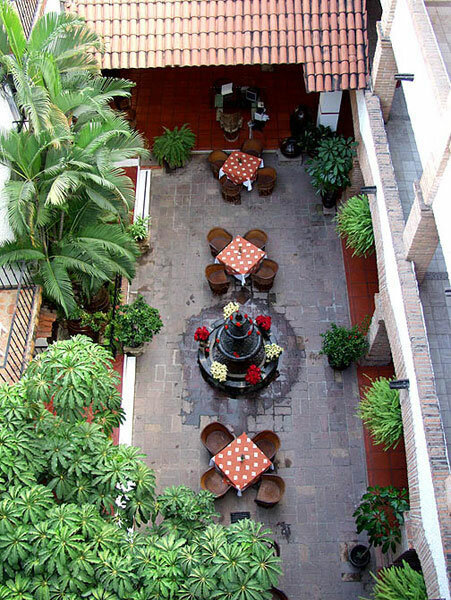 Steps away are colourful cobblestone streets lined with boutiques and galleries - Puerto Vallarta is perfect for strolling. 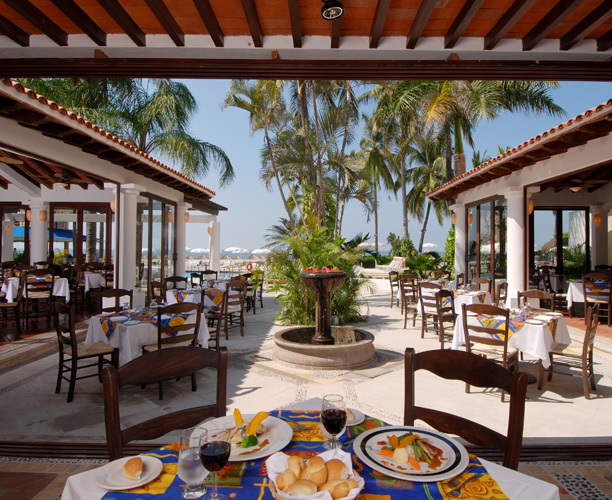 Unlike some of the modern mega-resorts, Puerto Vallarta is an old-fashioned town which even back in the '60's charmed some of Hollywood's most famous stars. Excursions from the town include a guided jungle tour, or a visit to the secluded fishing village of Yelapa. And you can return in time to take in a Mexican fiesta: a colourful evening of dance, costumes, and mariachi bands. Keep your camera handy for shots of hibiscus-laden terraces and tiled courtyards. 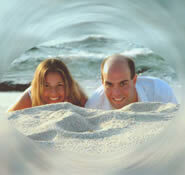 All in all, for beach, shopping, hotels and recreation, Puerto Vallarta is hard to beat! 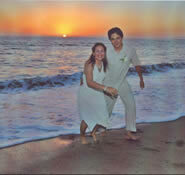 For a beautiful Puerto Vallarta or Nuevo Vallarta sunset wedding, register with Weddings on the Move. 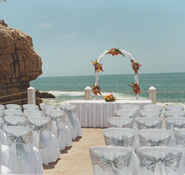 We will be able to customize a quote for your Puerto Vallarta wedding based on your wedding and reception needs. 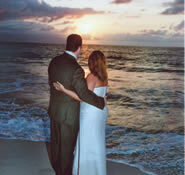 We can also arrange a wedding for couples stopping in Puerto Vallarta for the day while ona cruise.